Valentine’s Day is such a fun time of crafting, creating and all things hearts and love. It is a special time at our house! We also love reading about different holidays too! 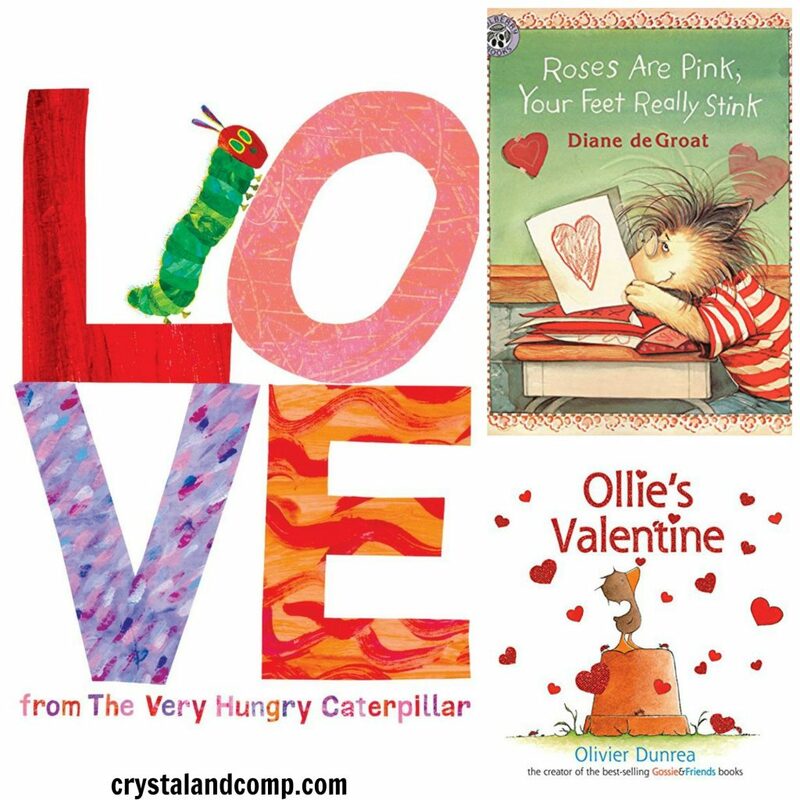 These Valentine books for kids are perfect for reading together as a family or during independent reading time! 1. Fancy Nancy Heart to Heart is one of the fanciest Valentine books of all! 2. 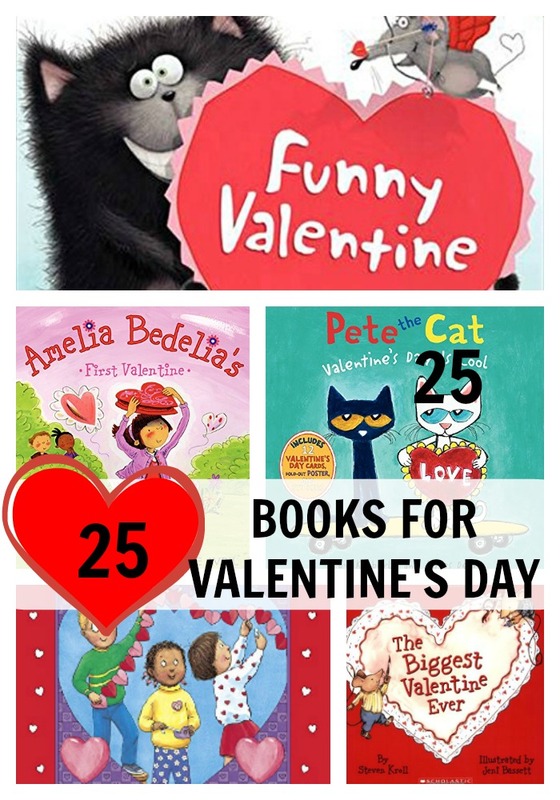 Junie B. Jones and The Mushy Gushy Valentine is a favorite for all and a very funny read too! 3. Daniel has all kinds of wonderful Valentines for his friends in Happy Love Day, Daniel Tiger. 4. Roses Are Pink, Your Feet Really Stink shows Gilbert how to have a change of heart on Valentine’s Day. 5. The Day It Rained Hearts creates a perfect way for a girl to create Valentines. 6. Love From The Very Hungry Caterpillar is so much fun and wonderful way to make the world better. 7. The whole gang is really celebrating in Happy Valentine’s Day Charlie Brown. 8. This Pete the Cat Valentine’s Day Is Cool comes with punch cards, stickers, and a ton of fun! 9. Ollie finds a very special Valentine for himself in this great story of Ollie’s Valentine. 10. Happy Valentine’s Day Mouse is a perfect book for preschoolers and a great intro to Valentine’s Day. 11. With decorating, baking, and card making George is busy in Happy Valentine’s Day Curious George. 12. Llama Llama I Love You is full of fun rhymes and a fabulous reader for young learners! 13. The Biggest Kiss has a kiss for everyone and it is full of them! 14. Happy Valentine’s Day Little Critter is a full class celebration for Little Critter and his friends. 15. Groggle’s Monster Valentine has a big surprise and a perfect Valentine Groggle has worked hard to make! 16. The Biggest Valentine Ever has some extra fun with foil stickers! 17. Mickey Mouse Clubhouse Minnie’s Valentine tells of love that is in the air around the clubhouse! 18. Amelia Bedelia’s First Valentine is such a surprise for her and her heart of gold! 19. Where is Baby’s Valentine is a perfect book for babies and it has lots of flaps to lift too! 20. See what happens to this ordinary kid on the mushiest day of the year in A Crankenstein Valentine. 21. The Bernstein Bears Valentine Blessings tells the story of a secret Valentine and a possible message about love. 22. Who can resist Elmo and all of his Sesame Street pals in My Fuzzy Valentine. 23. Splat the Cat Funny Valentine has a cute theme with liftable flaps for some really cute surprises! 24. All the kids are getting ready for the fun and excitement in The Night Before Valentine’s Day. 25. The Valentine Bears is a sweet story of two bears who want to celebrate Valentine’s Day which is during their hibernation. 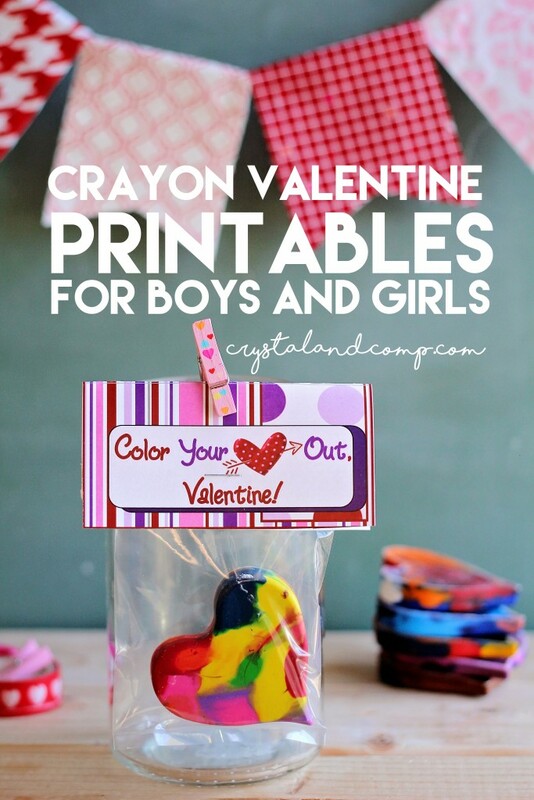 Check out these other awesome Valentine’s crafts and ideas!